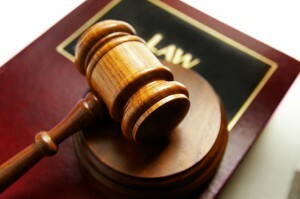 Workers compensation law is the set of rules and regulations that relate to work related injuries in California. California workers compensation law provides for a no fault injury system for those injured on the job and at the same time bars civil lawsuits for negligence against the employer altogether. Employers in California are required to carry workers compensation insurance for their employees who can collect workers compensation benefits for a work related injury regardless of whether someone was negligent in causing the injury. As with most no fault compensation systems, there are many more claims than systems that require the fault of another. In order to provide benefits to everyone, the amount and nature of the benefits is less than with other at fault systems. And, because the workers compensation insurance company is in the business of making money, the insurance adjuster is inclined to deny benefits that the injured worker is entitled to under California workers compensation law. Accordingly, those who suffer from injuries generally engage the help of a workers compensation law attorney to maximize the few benefits available to them. 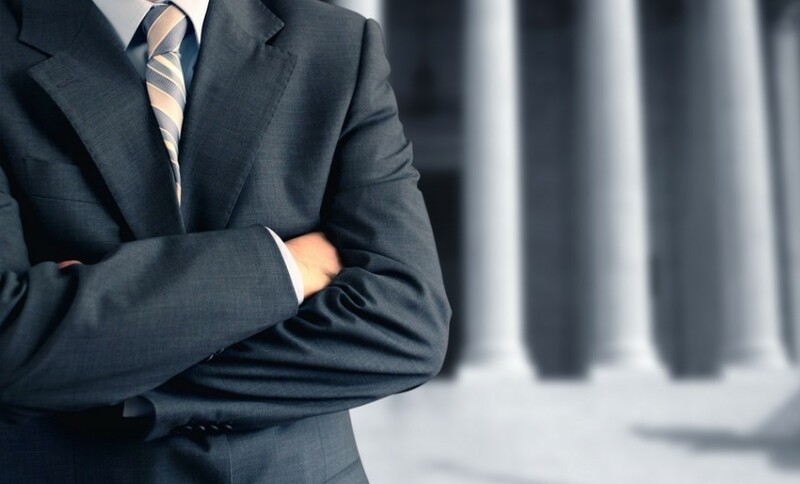 If you are suffering from a work related injury or have been involved in a work related accident, you should consult with an experienced work comp lawyer. When you call 1 (909) 325-6032, attorney Alexander Napolin will come to the phone and give you a free legal consultation to provide you with a better understanding of workers comp accident situation. All phone calls are confidential and obligation free, meaning Mr. Napolin does not pressure you to hire him or file a claim just because you call and speak with him. If you need help, you should call him as soon as possible because by waiting you can lose important rights. If you prefer, just fill out and submit a case evaluation form at WorkersCompLawyerIE.com and Mr. Napolin will give you a call back to discuss your injury case free of charge. Under California workers compensation law, the employee gives up their right to use their employer for negligence. In return, the employee is entitled to claim benefits under the employers workers compensation insurance policy. The following is a list of benefits that California requires be provided to workers injured on the job. For a more application to your particular situation, you should consult with an experienced Inland Empire workers compensation attorney. 1. Temporary Disability: Temporary disability is paid at a rate of two-thirds of the injured workers’ average weekly wage up to a maximum set by law each year. For injuries after January 1, 2015 the maximum temporary disability rate will be $1103.29 a week and the minimum will be $165.49 a week. For injuries after January 1, 2014 the maximum temporary disability rate is $1074.64 a week. For injuries after January 1, 2013 the maximum temporary disability rate is $1066.72 a week and the minimum $160 a week. For injuries after January 2012 it is $1010.50 a week maximum and $151.57 minimum, and for injuries after January 1, 2011, the maximum temporary disability rate is $986.69 a week (the same rate as in 2010) and the minimum $148 a week. Temporary disability is paid to injured workers when they are unable to work as a result of their work injury and a doctor states so. Temporary disability benefits can continue until either the injured worker is released to return to work or until the condition is found by the doctor to be permanent and stationary or to have reached maximum medical improvement. For injuries after January 1, 2008, temporary disability cannot extend longer than 104 weeks within a five year period from the date of injury. For injuries from 2004-2007 temporary disability cannot extend for longer than 104 weeks from the date of first payment of temporary disability. Permanent and stationary or maximum medical improvement means the worker’s medical condition has stabilized and is not expected to get better or worse. Permanent and stationary does not mean the injured worker no longer needs medical care, only that it has reached a plateau. Temporary disability benefits are often disputed in workers compensation law, with employers and insurance companies trying to force the doctor to declare the condition permanent and stationary in order to terminate temporary disability benefits. If your doctor declares you permanent and stationary and you disagree you can request a second opinion. 2. Medical Treatment: California workers compensation law insures the injured worker all reasonable and necessary medical care to cure or relieve from the effects of a work injury. Unfortunately the treating doctor’s recommendations for medical treatment are frequently denied by the insurance company after the treatment has been reviewed and deemed unnecessary by an outside doctor who has never seen the injured worker– a process known as Utilization Review (UR). In August 2012 Governor Jerry Brown signed a major workers’ compensation reform law, SB 863, which has dramatically impacted the injured worker’s ability to obtain medical treatment. All disputes concerning medical treatment denied by UR will be resolved solely by an Independent Medical Review (IMR) Process with no right of appeal. For treatment of a work injury, the employer or insurer may establish a medical provider network (MPN) to treat work injuries. If your employer has an MPN you must receive treatment for your work related injury through that list of doctors. If you dispute the MPN doctor’s treatment you must obtain a second opinion from within the MPN. If there is no MPN you can select your own treating physician after 30 days from the date of injury. As an injured worker you are entitled to only one treating doctor at a time and this doctor manages your case. The primary treating doctor can refer you to other specialists within the MPN, to help coordinate the treatment you need. In theory medical treatment for a work related injury is a life time benefit as long as the treatment is reasonable and necessary, related to the work injury, and complies with ACOEM. Any dispute over medical treatment must be decided soley by IMR. 3. Permanent Partial Disability: If you are injured on the job, after you are declared permanent and stationary you will then be evaluated by a doctor to determine whether you have any impairments or permanent disability as a result of your work injury. Under California Workers’ Compensation Law the injured worker is not entitled to any benefits or monetary award for pain and suffering. Permanent disability is determined on a scale from 0% to 100%, with 100% permanent and total disability cases ones that make it impossible for the injured worker to work in any capacity. Workers’ Compensation Law also provides for permanent partial disabilities — those that are below 100%..
Each percentage of disability equals a certain amount of money. The higher the percentage is the higher the amount of money. The percentage of permanent disability is not determined by how extensive or serious the injury was at the time of injury; but at the point of maximum medical improvement. Once the permanent disability has been established, the injured worker is entitled either to an Award of permanent disability which is paid in weekly amounts with medical care; or what is called a Compromise and Release which is a lump sum payment but with no further medical care paid for by the workers’ compensation insurance company. The level of permanent disability is usually contested by the insurance companies and this dispute must be resolved by a Qualified Medical Examiner (QME). 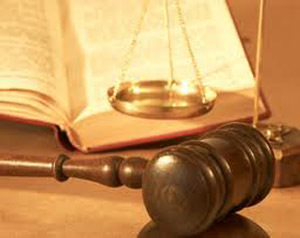 Disputes as to the nature and extent of permanent disability can be negotiated through a settlement but if negotiation is not possible it will be determined by a workers’ compensation judge after a trial. 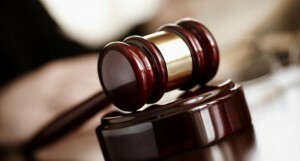 There are no juries in Workers’ Compensation Law. 4. Vocational Retraining: For injuries after January 1, 2005 but before 2013 injured workers who cannot return to their usual and customary job will receive a non-transferable voucher of between $4000 and $10,000 payable to a state accredited school chosen by the injured worker. For injuries after January 1, 2013 the voucher is still only payable to a state accredited school but is a flat rate of $6000 and must be used within 2-5 years. After January 1, 2013 the voucher may not be settled by the injured worker for a cash payment. If an injured worker can perform the essential functions of the job he or she may be entitled to a “reasonable accommodation” from the employer which would allow the injured worker to return to his or her regular job with certain accommodations or modifications as long as the accommodations or modifications do not create a “hardship” on the employer. 5. Serious and Willful Misconduct: While workers compensation law does not allow the injured worker to sue the employer for negligence, if the injury was caused by the serious and willful misconduct of the employer additional penalties may apply against the employer, of a 50% increase in workers compensation benefits. Serious and willful misconduct can be found if the employer had advance notice of a dangerous condition but did nothing to remedy the situation and the employee was injured as a result of the employer’s failure to act on the dangerous condition. Advance notice is usually an important consideration. Serious and willful misconduct may also be found if the employer violates California Safety Orders leading to the work injury, but again, serious and willful misconduct is different and distinct from negligence or even gross negligence on the part of the employer. 6. Death Benefits: If an injured worker dies as the result of a work injury and leaves dependents, those dependents can claim death benefits under workers compensation law. The amount of death benefits is determined by the number of dependents and the degree of dependency, as well as whether there are minor children. The standard for death benefits under workers compensation law is whether or not the work injury has “caused or hastened the injured worker’s death.” There must be medical evidence to prove the dependent’s claim for death benefits on behalf of the injured worker’s family.